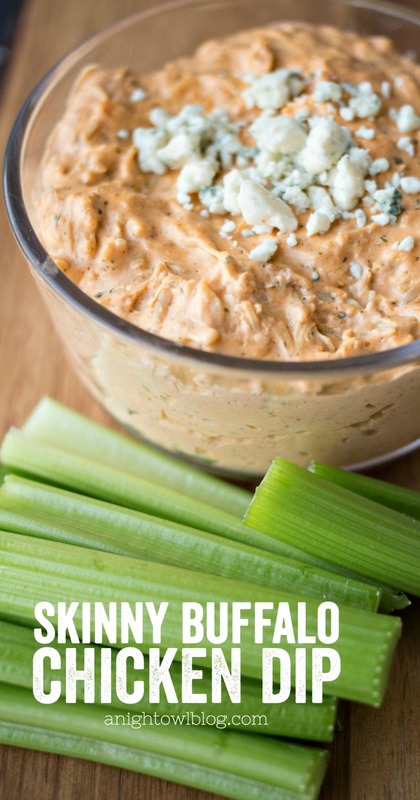 This Skinny Buffalo Chicken Dip allows you to indulge in all the taste of your favorite game day appetizer without the guilt! Hi friends! We love football season around here! 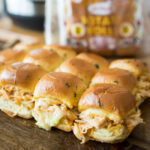 We recently shared these RITZ Buffalo Chicken Bites, which let me tell you, were the best thing I’ve had since buffalo chicken wings! 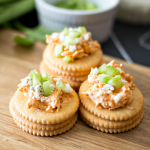 The perfect combo of buffalo chicken, blue cheese and celery and even though I have been craving them ever since, it’s probably not something I should eat on the daily. But that taste! 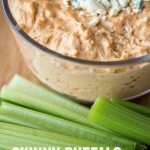 So I set out to make something with that buffalo taste without the guilt: Skinny Buffalo Chicken Dip! So I simply switched up some of the ingredients: I used fat free cream cheese, 98% fat free canned chicken, regular buffalo sauce, ranch dip mix and just a little sprinkling of blue cheese. Thankfully the taste of blue cheese is strong enough so you don’t need a lot to really enhance the flavor of the dip! Then there’s the celery. Since you can really eat all you want of that crunchy goodness, why not skip the chips and use the celery as your dipper! Scoop all that buffalo chicken goodness right into your mouth. Now we’re talkin! In a small sauce pan over medium heat, add your cream cheese, buffalo sauce, chicken and ranch dip mix. Add to small serving bowl, top with blue cheese crumbles for garnish. Serve with sticks of celery. What do you think? I’m so excited to still get to indulge in all the game day goodness this season without some of that guilt. 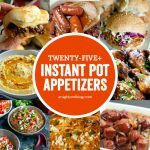 If you like to indulge in game day goodness like I do, be sure to check out ALL this Football Food! 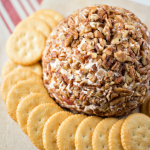 A collection of twelve tasty tailgating treats!